Tree pruning can be required for a number of different reasons. For instance, overgrown limbs can overcrowd other specimens and make things look informal, block the essential light to other trees, shrubs, plants and even your garden area. Another good reason to prune your tree/trees is to reduce weighty limbs which are susceptible to damage from wind or just weight alone. Minimize damage from high winds and storms by maintaining your trees. Before any pruning is carried out, we will assess your trees individually and decide the best possible course of action in relation to your tree species, shape, size and condition. Your trees will be pruned efficiently to maintain an even balance and safe condition. All branches will be cut optimally to reduce the risk of tearing and infections. To avoid damaged to your trees and surrounding areas, we use the latest tree surgery techniques to ensure the safe lowering of large limbs and branches. All pruning will be carried out in a controlled manner by using lowering ropes and or slings where necessary. If your tree has dead, storm damaged or diseased branches they will be cut back to the relevant branch collar. 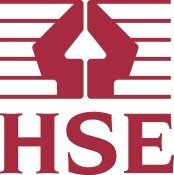 We will make appropriate cuts to the branch collar and always adhere to the guidelines set out in the BS3998 (British Standards). This will ensure tree health and balance while obtaining the desired overall shape of the tree. Removal of dead and dying wood; stumps of broken or poorly cut branches; unwanted epicormic shoots. Crown cleaning can also include the removal of unwanted climbing plants such as ivy or foreign objects such as wires. Crown density is reduced by the removal of selected branches from the whole crown, but the overall shape and size of the tree is maintained. This is normally done as a weight reduction method if a significant structural weakness is identified in the stem or major branches. It is also done to reduce damage that could result from crown resistance to strong winds or to allow more light through a tree. The crown is made smaller without spoiling the shape of the tree. This is very skilled work and often involves a method of pruning called “drop-crotching”. Again it is done to reduce the weight in potentially dangerous trees, but can also be useful if trees are obstructing or damaging buildings or power lines. Tree pollarding is a method of management where the main leading stem of a young tree is removed to encourage regrowth. The regrowth that then occurs can be regularly removed (re-pollarding) back to the same point (the pollard head). 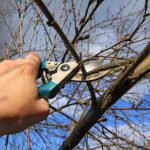 This is the hard pruning of a mature or semi-mature tree involving the removal of nearly all of the trees branches and foliage. This is nearly always considered unacceptable practice unless on hazardous trees and should not be confused with pollarding. This type of pruning destroys the tree’s shape and introduces decay and encourages the development of a weak branch structure and can kill some species such as beech. If you require any of our tree surgery services, simply use the quick quote from on the right or alternately you can call us on 0208 123 7653.